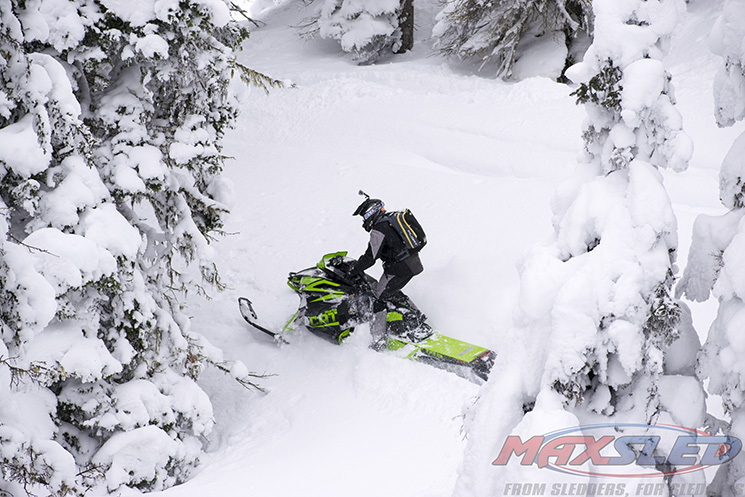 There was a time in the snowmobile world when the mountain segment was a tiny little fringe of the product line. In those days a long track unit stretched all the way out to 136 inches… true story! These days, mountain sleds are the flagship models of product launches, with big R&D efforts delivering technical innovations that trail guys drool over. This year our MaxRiders showed us there is a lot of parity in the mountain segment, with favorites in three different stables. Here are their personal #1 and #2 favorites in the Mountains. As always, no brand politics are allowed into the Riders’ Journal entries. No counting each manufacturer’s selections. Just the pure thoughts of the guys who rode. Enjoy! #1: Arctic Cat M8000 Mountain Cat. Straight out of the box this sled is awesome. The new motor definitely cleaned up the bottom end responsiveness that prior Cats really needed and it pulls and keeps on pulling! With the Mountain Cat package coming stock with Fox QS3 shocks all the way around, there’s no need to upgrade, which is a huge bonus. The skinnier plastics really helped on super steep sidehills, it doesn’t “panel out” like the previous Cat models did. It’s very predictable on the mountain, has great power, and all around is my number 1 pick. #2 Polaris 800 Pro RMK. This sled has arguably been the best mountain sled since it hit the snow. Although it may not have quite the power of the other Cat or Doo, it flat out just works. 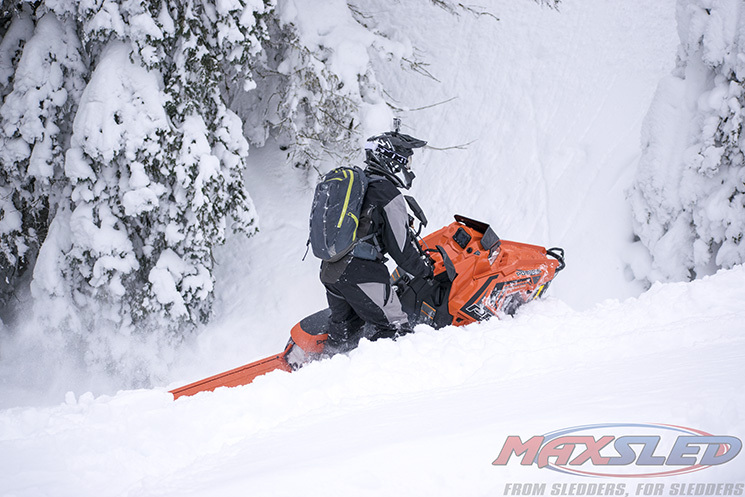 Sidehilling and mountain manners of the Axys chassis are really what make this sled so great– and still holding the title for the lightest mountain sled on the market is a huge plus! #1 Arctic Cat M8000 Mountain Cat. I was really surprised in this segment! I am a Polaris Axys owner and love my sled but when I ride the new Arctic Cat M8000 Mountain Cat all I can say is wow! The new motor is fast revving with great power, huge improvement. You can sidehill all day long with ease. The new Cat gets through deep powder and gets on top of the snow, making it a very easy and effortless mountain sled to ride! I would buy one. I know I own this sled but does everything very well. Sidehill and deep snow performance is really good. Just not as easy as the new Arctic Cat. 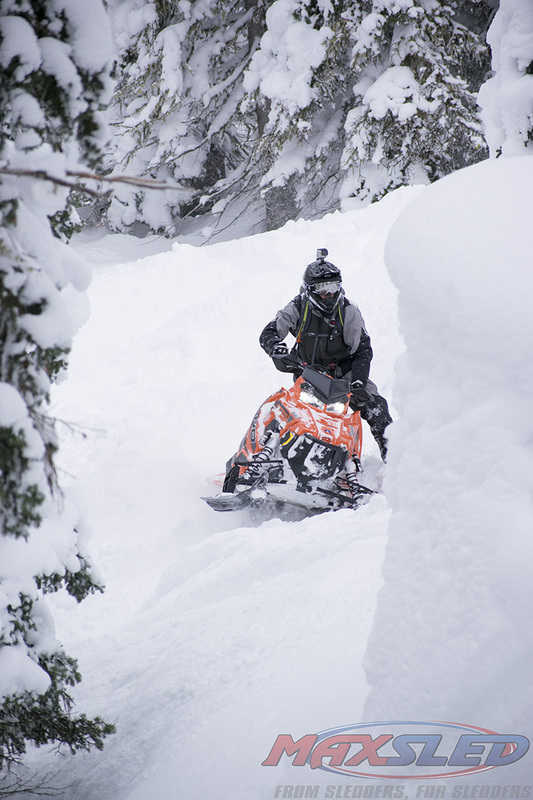 I have a real tossup on the mountain sleds between the new Arctic Cat M8000 Mountain Cat and Ski-Doo Freeride 155. 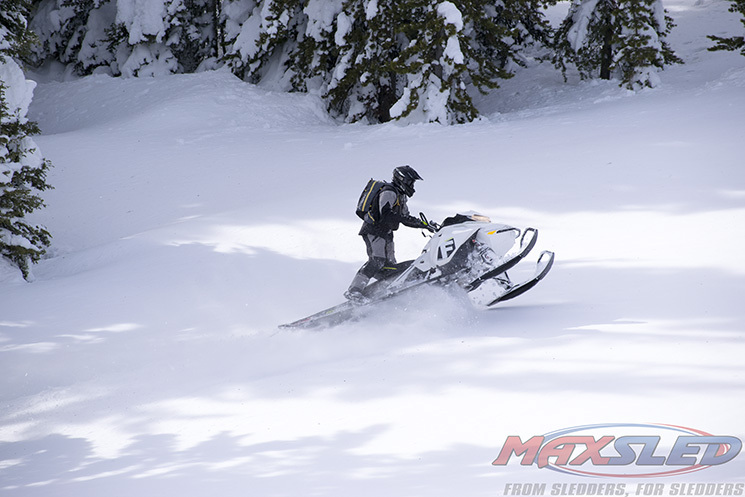 I really like the power and handling of the Ski-Doo Freeride. It feels really effortless to control. 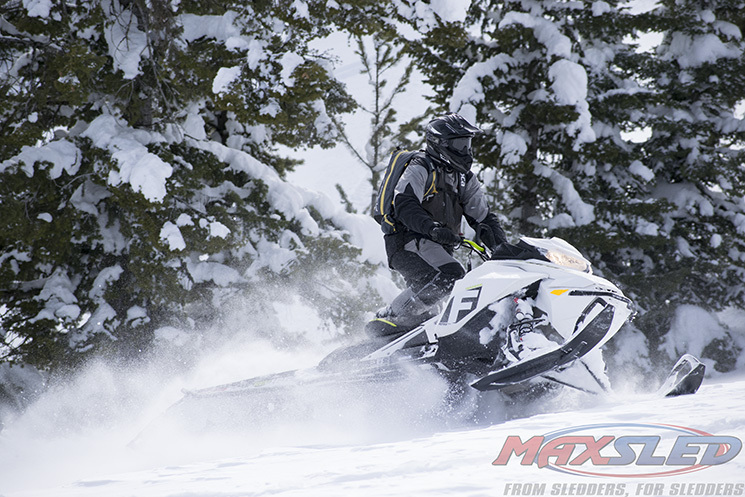 The Gen 4 chassis is a very neutral rider position sled which makes it feel very light weight and maneuverable. It’s very easy to get it up on a side to side hill but once on its side it tends to like to wash out the back end making it a little more technical to ride. #2 Arctic Cat M8000 Mountain Cat. 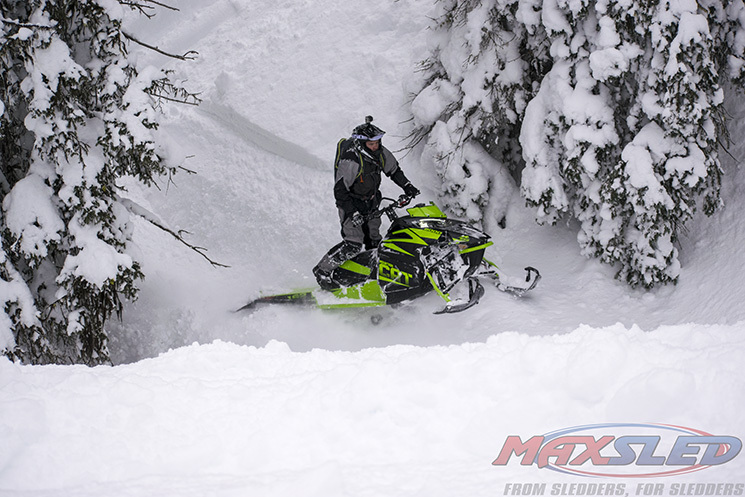 The new Arctic Cat M8000 153 is an awesome sled; they really did a good job this year on it. The power delivery is unbelievable compared to their old 800 motor. The narrowed-up side panels really help it sidehill. It’s really easy to hold an edge when sidehilling. You can basically point this sled where you want it to go and it just goes. One of my favorite mountain sleds for 2018 is the 165 Freeride, with the 36″ wide front, this sled just feels right for me, easy to carve and picks its way through the trees with ease, and now with the 850 in the Freeride this year what could be better, oh I know, the new shot system, yeah it doesn’t seem like much but it is definitely a feature I’d like to see on all mountain sleds. Although these sleds are pretty much unchanged for 2018, they definitely work awesome. Sidehilling is effortless, 800 motor puts out some fairly decent power, overall ergonomics are perfect for that beginner or experienced rider. I did ride the 174 a lot this time as well, and it can go pretty much anywhere. 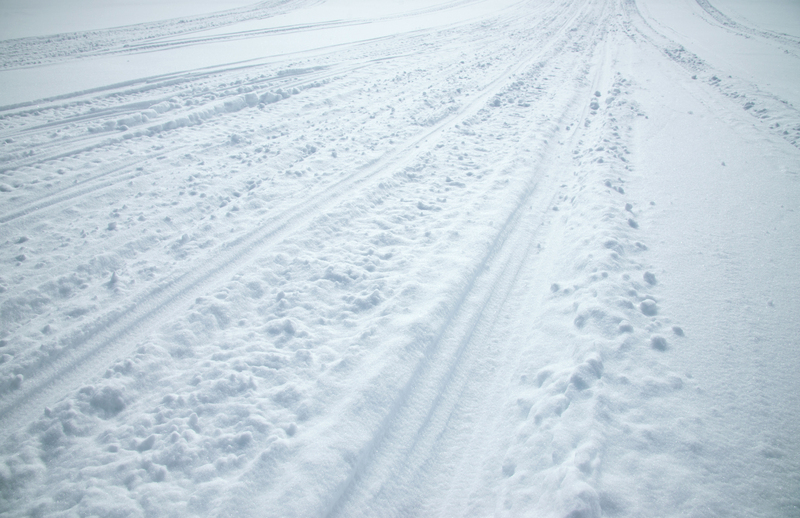 It just chews through the snow and you seldom end up digging yourself out. For me the 174 was a bit too long to fit through some of the riding spots we found.